Winrock's SFB project helps a much-loved elephant retire to a well-earned rest. Sambo the elephant and her owner, Sin Sorn, have much in common. In the 1970s, Khmer Rouge soldiers killed Sambo’s four siblings and sliced her feet with machetes. They sent Sorn out to dig ditches and murdered his brother (his parents died of starvation during that time). 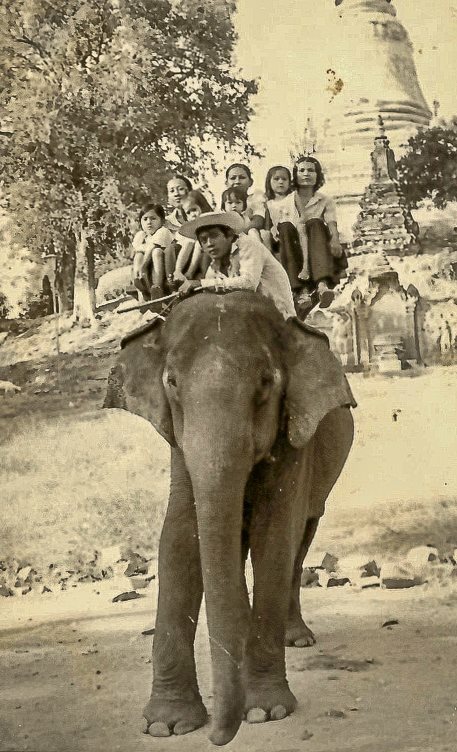 But after the war Sorn found Sambo and brought her to Phnom Penh, where she carried children and tourists for decades and became a celebrity known to millions of Cambodians. In 2014, USAID’s Supporting Forests and Biodiversity Project (SFB), implemented by Winrock, helped Sambo retire to the forest of Mondulkiri, where the Elephant Valley Project gives her 200 hectares to roam and all the grass and bamboo she can eat. Sambo has gained almost 100 kilos and her foot has healed. “Sambo is safe and sound now,” says Sorn, who visits her twice a month. Her suffering, it seems, is at an end. She’s learning to be a wild elephant again. Sambo in 1987 at Wat Phnom in Phnom Penh. Watch “Sambo in Retirement,” a film produced by the SFB project.